It seems that every time I go to a shooting range, I meet someone who would make a claim of supreme accuracy of their firearm. This rifle shoots great, they say, when they do their part. I've seen sub-MOA claims being made for PSLs, 22LR AR-style semiautomatics, 10/22s, all kinds of plinker-style ARs, and even AKs. A request for live demonstration usually produces a wide group, and then another one, and another one, and ultimately it all ends with an expression of a genuine surprise on the shooter's face: just yesterday this same rifle shot a really tight group, but today it just won't cooperate. 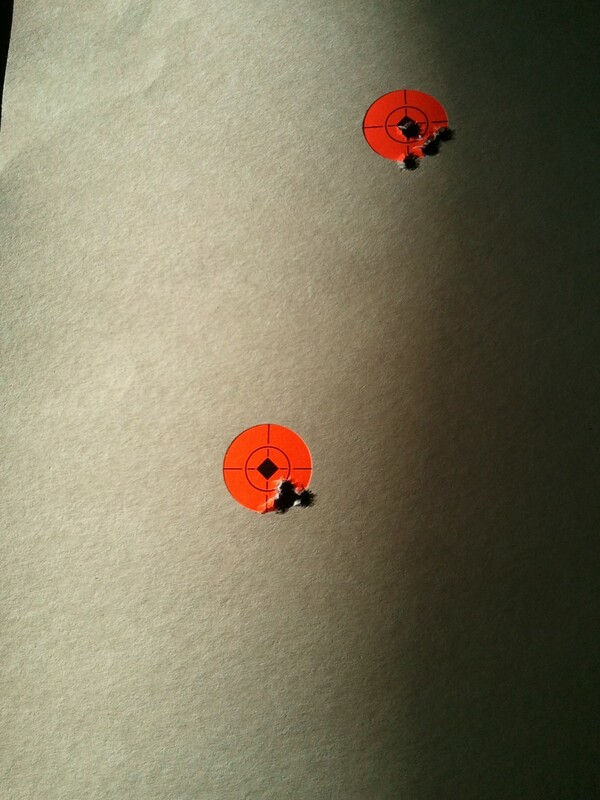 But the truth is, shooting from the rest with a scope at a short distance does not require a lot of skill. Within reason, of course, things start getting a lot more interesting as the groups shrink beyond 0.25MOA, or the range goes beyond 300 yards. However, the difference between 3MOA and 1MOA when shooting from the rest at 100 yards in vast majority of cases cannot be explained by the shooter's skill: there is simply no way to shake the rest so violently that an accurate rifle will produce groups so big. When you look through the scope, you will see the reticule "walk" on the target. That's the order of magnitude of your impact on the group. For most people, it's 0.5MOA or less, but I can imagine 1MOA in the case of really bad shooting position and really shaky hands. No more. ...which means that the actual impact of the shooter is even smaller. Let's say a shooter is a 1MOA person, and the rifle is 1MOA rifle(*), then the expected group sizes will be only 1.4MOA, not 2MOA. (*) You wouldn't generally call a rifle with a standard deviation of 1MOA a "1MOA rifle" as there is only a 66% probability that the groups from such a rifle will be within 1MOA. A 1MOA rifle would have a standard deviation more similar to 0.5MOA. It doesn't matter for the purpose of this argument, as the numbers simply scale. So, with the and the scope, your contribution as a shooter is rather marginal. Same distance, same shooter, same shooting rest, even the same scope. If your rifle mostly shoots wide groups and occasionally very tight groups, it's not because you "worked hard" on the better groups, it's because of the randomness of the firearm - once in a while even a very inaccurate rifle will fire a very tight group. Don't blame yourself. It's your rifle. Contrary to what the Internet might say, your rifle is not "fine". But that's OK. It's even good. There are plenty of great rifles out there, and finding an accurate one is usually not difficult. You, on the other hand, are unique, and replacing you is not possible. What does it mean? It means that if you are shooting under ideal conditions (scope, rest, you can see through the scope that the reticule is steady on the target, with no more than 0.5MOA jitter, 100 yards or less, no heavy wind, 5 shot groups with reasonable ammunition), and the rifle does not produce tight groups consistently, do not blame yourself. It's most likely the rifle. Of course, you should not have unreasonable expectations for the rifle either. Your AK is not a 1MOA gun, and it's not a 2MOA gun, either. Your 10/22 isn't, as well as most other semiautomatics, especially ones in rimfire calibers. They are just not made to do this. Their design goal was to go boom, not to hit very small targets in faraway places. If you want a gun that shoots 1MOA or under reproducibly, get a target bolt action gun, verify it on the rest with proven optics and decent ammunition. 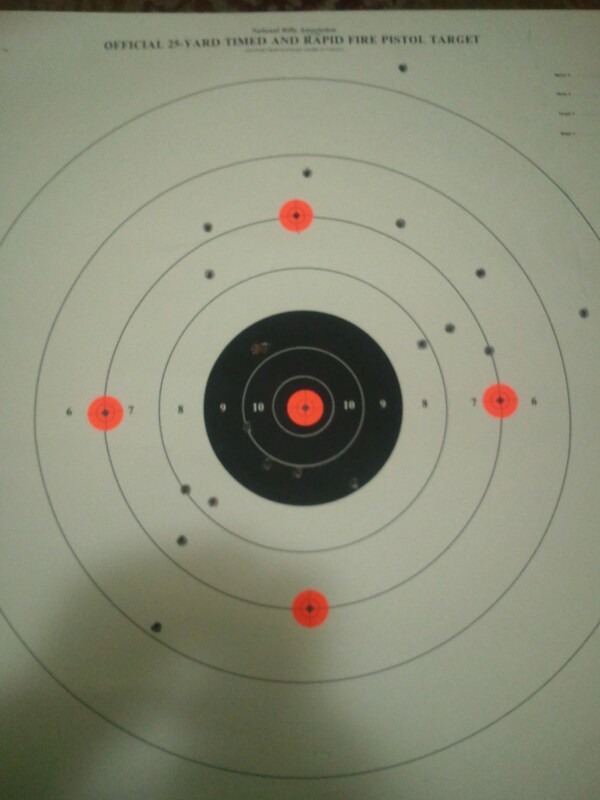 Then once you know that rifle and scope work, you can work on your handloads and positional shooting skills. You start working on yourself after you have eliminated the rifle from the equation, not the other way around. Read more about what makes an accurate firearm here.